The County of Renfrew is following in the footsteps of Prescott and Russell, announcing a plan to limit its ambulances to calls within municipal boundaries. The resolution, passed by council during an Aug. 29 meeting, would mean Renfrew ambulances would be required to return to a home base after responding to an emergency outside their jurisdiction. Mike Nolan, chief of the Renfrew County Paramedic Service, said the resolution would make sure resources are spent in Renfrew. "Right now, we're using provincial and Renfrew County dollars to do calls in other municipalities, and that's not OK," he said. Currently, Ontario's Ministry of Health and Long-Term Care requires the closest available ambulance to respond to any life-threatening emergency, regardless of which jurisdiction it belongs to. Under a previous agreement between the City of Ottawa, Prescott and Russell, Renfrew County and Cornwall, municipalities would reimburse each other for emergency services used in other jurisdictions. In 2008 the provincial rules changed, and municipalities no longer had to reimburse each other for extra emergency services used. An existing contract between the City of Ottawa and surrounding municipalities was not renewed when it ended in 2015. 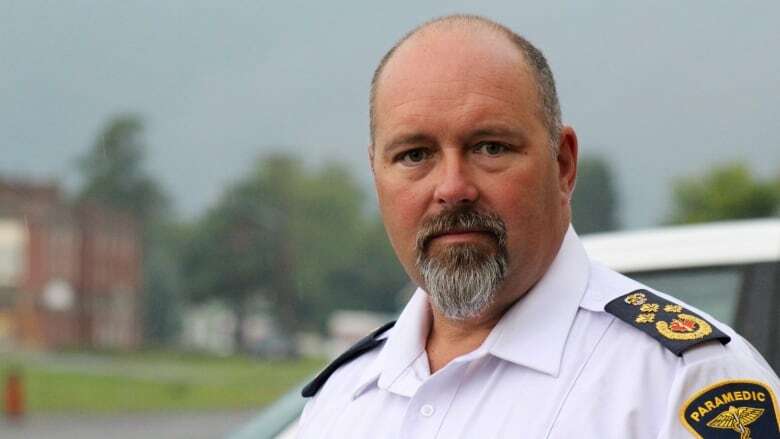 Since then, surrounding municipalities have claimed that the workload is lopsided, with the City of Ottawa relying too heavily on rural paramedic services for assistance, and leaving rural counties stuck with the bill for answering calls outside their boundaries. "They've made it abundantly clear that they're not interested in funding the assistance that they're relying upon from us, so we've made it abundantly clear to the province that we're no longer going to do that," Nolan said. Paramedics from rural counties often get stuck in Ottawa, having to respond to multiple calls once they are in the city limits, which increases overtime costs for the municipality, Nolan said. Prescott and Russell announced changes to its response protocols back in May, saying its ambulances would be taken offline during a trip back into municipal boundaries after taking a call in Ottawa. The counties said they would wait 60 days to implement the changes, though the proposal would still need the go-ahead from the province in order to take effect. The change was derided by some critics, who said the new rules would put patients at risk. The counties have since backed off the plan to limit ambulances while they talk with the province about a solution, said Michel Chrétien, the director of emergency services in Prescott and Russell. But the problem remains, he said. "If we are going to offer resources to other communities, someone needs to pay that invoice," he said. With the passing of this resolution, Renfrew County is signalling to the province that the rules may need to change, Nolan said. Renfrew County's resolution will now be presented to the Ministry of Health and Long-Term Care, Nolan said. "The goal at the end of the day for the County of Renfrew is to keep its paramedics in the County of Renfrew." Ottawa has previously struggled with a shortage of ambulances. In 2017 the city hit "level zero" — meaning there were no ambulances available to respond to emergencies — 322 times, up 66 from the previous year. Chief Myles Cassidy of the Ottawa Paramedic Service said residents of Ottawa do pay their share for other jurisdictions' services through provincial taxes, which cover 50 per cent of ambulance services. A spokesperson for Ontario's Ministry of Health said the province is currently reviewing the situation and facilitating weekly discussions between the neighbouring paramedic services.